Ethics, price, and profit. How do you know what to charge for your product and service? The determinants of price are; quality of the product and service, relevance to the market/competition, speed (how fast you can get the product to someone), Customer relations, demand/supply, loyalty, experience, and the value you bring to the customer. You want to charge the right amount to keep loyal customers on board who align with your vision and purpose and whom you bring value to while discouraging everyone else from purchasing what you have. As strange as it sounds, discouraging everyone else from purchasing who don’t align with your vision, purpose, and values, will improve your company’s growth at an exponential rate. Price is a big deterring factor to those who aren’t loyal to your brand. Those who will run to someone else as soon as they announce they have it cheaper. This is what’s called a race to the bottom, competing on price is never a good idea. You also under value your product and service by giving it away at a discounted rate. Psychologically when you price higher people’s expectation rise. The demand may decrease, however, the feeling of being part of an elite group will make it attractive to those who wish to be in this group. Emotion will always trump logic when a customer is buying, make them feel good, that they belong, and the rest will take care of it self, that’s the simple version. Take Grey Poupon for example. When they advertised the grainy mustard in the 1980’s, the cost was 60 cents more than other mustards on the market, although the difference in price wasn’t significant, it was the inclusion that Grey Poupon offered to the consumer. Ed Catmull wrote a book about Steve Jobs and Pixar called Creativity Inc. He explains how at the early stages of the company Steve Jobs wanted to generate profit and sales through products. Pixar began selling products, expensive computer hardware, which was new to the market and buyers did not understand the product, it was more of a deterrent and damaged Pixar’s ability to sell because they priced it very high. This, in turn, left a first impression that stuck with the buyers which they couldn’t shake of, even when they lowered the prices on the hardware. I have always said you can go high but you can’t start low in a negotiation. In this case, I am wrong, you can start lower see where your product and service is on the demand curve and then raise the price to filter the customer base. Ethically taking great care on how you raise the price. With attraction from the right influencers and celebrity endorsement, the product becomes a demand by the majority of the population. When I say the right influencers and celebrities I am suggesting not to use anyone who has a large following of devoted fans, instead attract influencers who align with the purpose and values of the company. This works due to the principals of persuasion; Social proof and likeability, others who are like themselves are using the product. Many companies spend a great deal on these endorsements and yield poor results because there is no alignment between the product and service and themselves. This is a lose/lose scenario and damaging for both parties. 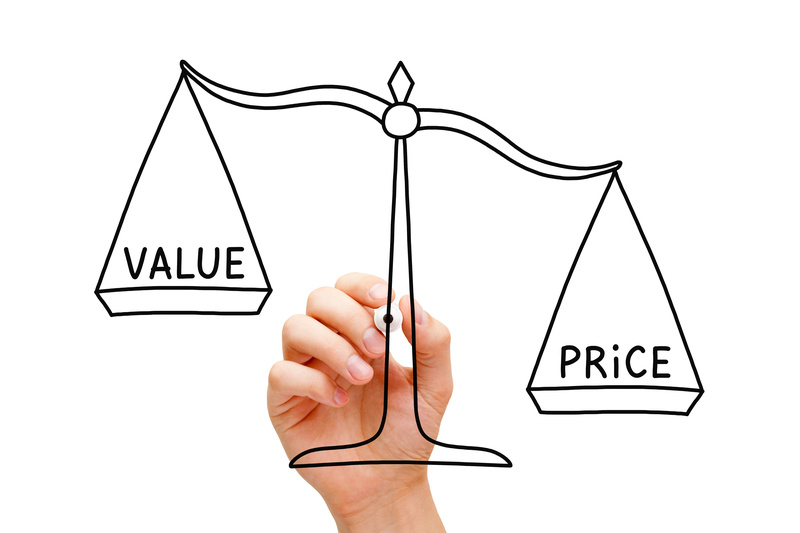 When done right the organization can keep the price relatively higher than its competition. It’s the desirability of the product that makes it attractive to buyers. Nike is a great example of how the product stays at a relatively higher price than other merchandise that is similar and sold on the market. There comes a tipping point. When you over charge you can put yourself in a volatile position. When do you consider that what you’re doing is ethical, and why does this matter? Marx’s theory of economics in a nutshell; you divide the working class from the bourgeoisie, the owning class. The working class sells themselves with labor to the owning class. By raising the price of commodities, the working class must work more, therefore sacrificing more of their time and labor to meet their necessities. By lowering the price of production, the same scenario holds true. So, the owning class owns the working class in a sense. His thought is that when it costs you very little to produce something and you charge an exponential amount for it, the person buying must work harder to obtain it. That’s one view how ethics plays a role in how you price things. A research from Stanford conducted a study on comparative pricing, stating that your marketing message can become deceitful to the buyer if your pricing has no context as to why your pricing is higher or lower relative to the market. I have been searching for Scuba gear recently and thoughtfully I shopped around between 3 stores. 2 of which the prices are relative and one has the same equipment but the price is nearly 25% more. This has not only led me to avoid that store and left me with a feeling of uneasiness, but also to question their ethics on the pricing structure. There are exceptions, and it is when you get away from selling a commodity, you sell an experience, what you offer to consumers isn’t something consumers will get from your direct competition. Setting yourself apart from the competition lets you to create a monopoly on the market share. The price is now left up to your discretion, which will determine how much volume you go through. The image of high priced purchased items is a status symbol. When I started one of my second business, steam cleaning, I run it to the ground by being the least priced business. That race to the bottom is not a long-term strategy, the retention was 2% of the clientele after we raised the price. That is terrible for an emerging business because getting new customers costs more than retaining previous customers. Although I made some money in the business, it wasn’t worth it in the end. So, I have completely restructured the business and now moved away from the discount/price pressure from competitors, race to the bottom, and into an experience based selling on which price=quality of the workmanship. My mentor has taught me to not consider price as the only determinate factor when it comes to negotiations with customers. Discounts should be the last resort if any at all. Always look for an alternative scenario on how you can meet the other person’s needs. Marshal Rosenberg states that there are basic universal human needs, such as the need for love, respect, awareness, honesty and so on. Since we have the same needs, your customers need when met, price becomes obsolete for the most part of the negotiation. Moving away from transactional based selling and towards relationship based selling. If your friend, someone you trust, told you about something that made their life easier and it worked for them and said that it will work for you and make your life easier, knowing you needed it at that moment and time, you would do what it takes to obtain it regardless of price. My last example about price comes from Marc Andreessen an entrepreneur, software engineer, and an investor, regarded highly in the Tech world. The rumor goes that he calls the companies he has invested in and tells them to double their price without having seen what they charge. Knowing this is a good strategy because of the needs and the problems it is solving. Look at what problems you are solving with your products and services, and how your making peoples lives easier and more delightful. Refuse to sell a commodity.